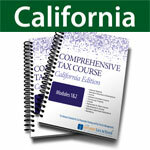 A series of five Income Tax Courses totaling 180 hours must be completed within 18 months. 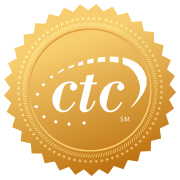 Plus, there is a 300-hour experience requirement over two tax seasons to receive the CTP designation. After completing the first tax course, you’ll have enough tax knowledge to start working towards your 300-hour experience requirement. Plus, you can start earning money! Certificate students must have an average grade of 80% or better within the program and fulfill the 300-hour experience requirement to achieve the designation. A printed certificate suitable for framing will be mailed upon successful completion of all five courses, plus the experience requirement. When I was about 12 years old, in the sixth grade, I had made up my mind I was either going to be an engineer or a CPA. I did go to engineering school and later earned an MBA. At one point in my career, I was assigned to the Canadian operation of my company. I complained to the Big Eight accounting firm that was doing my taxes, complements of my company, that the taxes were unreasonably high. What did I care; I wasn’t paying the taxes or the fee they said. After arguing with my own accountants for a number of years, I had to do something. I signed up with The Income Tax School a year ago. Recently, I’ve been amending old tax returns, repairing many old mistakes and filing amendments for foreign tax credits for the last ten years’ returns with very large refunds received for each tax return I’ve amended! P.S. I just recently had a birthday, my 86th! 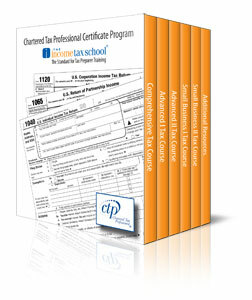 I am enrolled for the Chartered Tax Professional program and would like to commend you for the very detailed and comprehensive course materials. I was able to hit the ground running with individual tax returns in my practice. I have completed well over 200 since I arrived in the US. I would like to thank your team for the overall support with my Chartered Tax Professional program study. 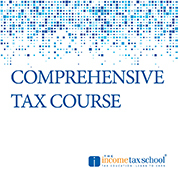 I have just completed all courses for the Chartered Tax Professional program, and it’s been a great pleasure being able to study with The Income Tax School. I was looking for a retirement job when an associate mentioned tax preparation. I researched this field and landed upon The Income Tax School. It has quite an internet presence and was loaded with good information. I decided to take the plunge and take the comprehensive course. I found I had some aptitude for this and went on to take additional courses. Yes, it became a bit of an addiction. The tests became puzzles I enjoyed solving. I took some advice and took to the trenches working with Liberty Tax for two years. This office has very experienced people with Lois having over 35 years of experience. She is like a living tax guru. I have learned quite a bit with this practical experience.The Income Tax School gave me the foundation to prepare individual, partnership (rentals) and business filings. The owners were impressed that I had so much knowledge without really working in the field. But, there is always something knew to learn (ex: What the heck is a 1099-Q?). I truly enjoy helping people out with their taxes and finding ways to save on their tax liability.Thanks to The Income Tax School for helping me build this great foundation on which I will continue to build.I plan on opening my own tax business next tax season. 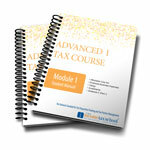 Your courses are in depth, sometimes hard and nearly always challenging and exactly what is needed to understand the wonderful world of taxes. I am an Enrolled Agent who is taking them to refresh the basics and revisit the advanced and business courses. 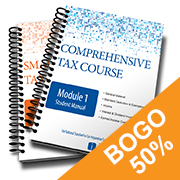 Well worth the money paid and I am getting more out of their Chartered Tax Professional (CTP) courses than other live continuing education seminars and workbooks. I have obtained a job with a tax service and will begin the experience part of my new career this tax season. Thank you to The Income Tax School and especially Barry and Karen for all their help and guidance this last year. Thank you! I have successfully completed all modules for the Chartered Tax Professional course and have since submitted the affidavit of experience. It has been a very intense and wonderful program and I feel more confident relating to clients with the additional knowledge I have gained. 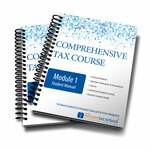 The time spent on this course will be rewarding. 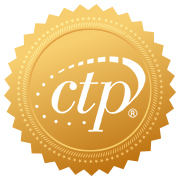 I recommend anyone interested in seeing the material join their Chartered Tax Professional-CTP program and test out as I did. It was a long difficult test but it showed me what was to be expected. I actually tested out of their basic and intermediate which combined I think they consider the comprehensive. It was hours of work but fun. Both tests were $50 each. I have a great respect for their program. I have just graduated with my BA in ACC and wanted to see if it was challenging and it is. I plan to sit the EA exam in September for Part I and hopefully will completely finish II & III prior to tax season. Anyway, The Income Tax School”s program is great, I recommend it to anyone, and it covers individual, business, and ethics. 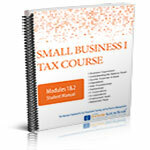 I have researched many programs and found The Income Tax School to be one of the most effective and very affordable. I also noticed it offers a payment plan for the Comprehensive Course for those who need that option in this tough economy. The courses that I took have allowed me to expand on my basic understanding of tax preparation and have given me a good grounding for other areas, example corporations. We only prepare individual returns at the office I work for, so I now feel more competent in those preparations. I am also quite happy with the fact that I have obtained my CTP which has prepared me for my ultimate goal of obtaining my EA. The courses also helped me strengthen my research skills and have given me avenues in which to explore issues further. It has been overall a rewarding experience that has given me the tools to expect more from myself. I work for a law firm that also prepares tax returns. We have become really busy over the last 2 years and my boss decided to stop preparing tax returns and give our 100 tax return clients to a CPA. I suggested learning how to prepare returns and take over the clients. My boss, in theory agreed to this, if I took the CTP program. I have helped to prepare many of the client”s returns over the last two tax seasons. This program directly has helped us to retain thousands of dollars. We believe this program has been so helpful, that our newest assistant is going to start the program this summer allowing us to increase of capacity to acquire new tax clients.